4 May Hamburg – The Forum began with a long speech the CEO of the Afrika Verein, Mr Christoph Kannengiesser. In his speech, he first thanked the African authorities (Ministers and Experts), and the top officials of the German companies interested to invest in Africa. 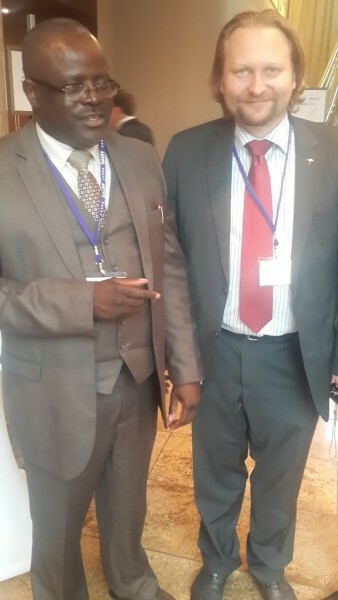 I the picture HE Hon Christopher Yaluma, Zambian Minister of Mines, Energy and the development of the water.